If all churches look like this, I’ll be a religious fanatic. 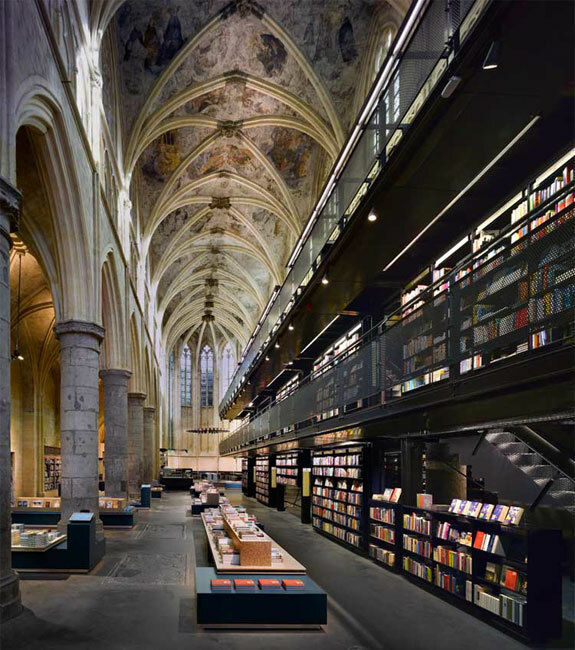 This old Dominican church in Maastricht, Netherlands was converted into a grand bookstore with a massive selection of books that will make any reader bow and worship in complete awe. 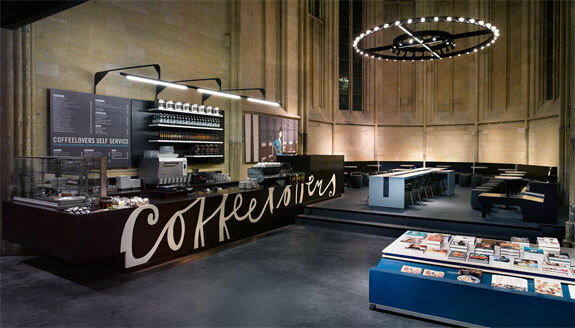 It also has a coffee shop strategically placed to give the readers a full view of the church and its 14th century frescoes. Its reading area became more interesting with the cross-shaped altar table that was made into a reading table. The gaps in between are for magazines and newspapers—simply genius. 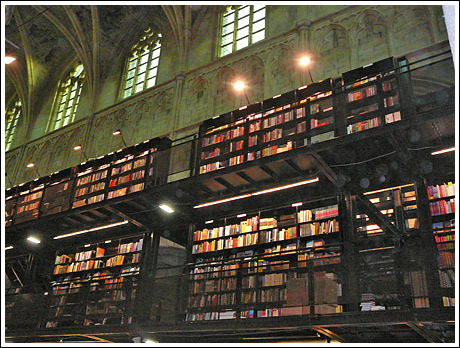 This is literally a glimpse of heaven for book lovers. People are just getting more and more creative these days. From a church we now go to a theatre. 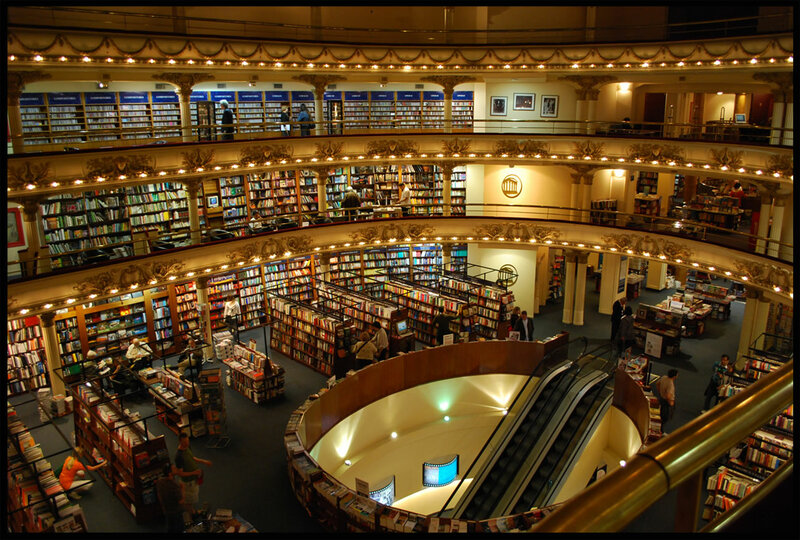 Previously known as Teatro Gran Splendid, this breathtaking bookstore gave a different meaning to the word performance. 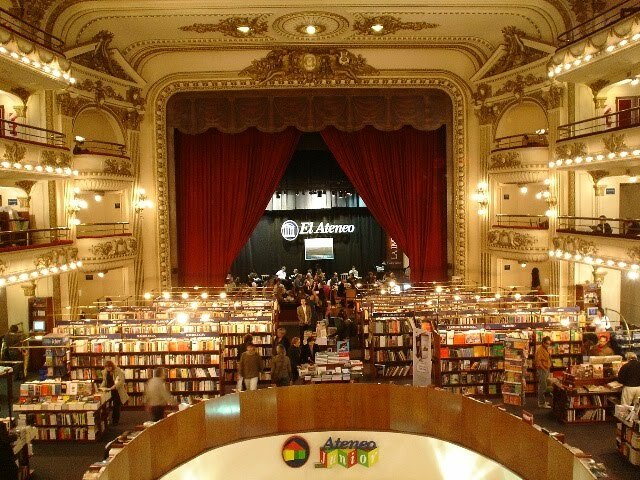 The El Ateneo Grand Splendid in Buenos Aires, Argentina is a box-office success in every way. 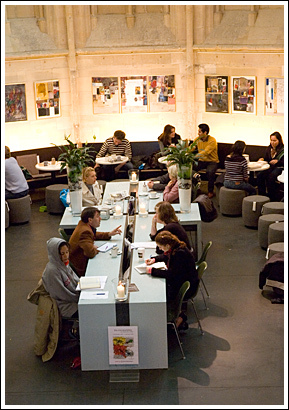 Filled with books from every corner, the bookstore has a music section and a café to complete the act. It retained the glamour of its structure with the crimson stage curtains, the theatre box which is now used as reading area, the ornate details in the ceiling, and the intricate carvings. 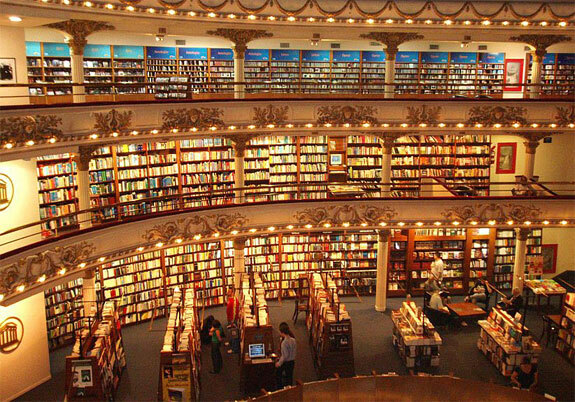 This bookstore truly deserves a standing ovation for delivering an unparalleled bookstore experience. If you want to encourage your kids to read, bring them here. 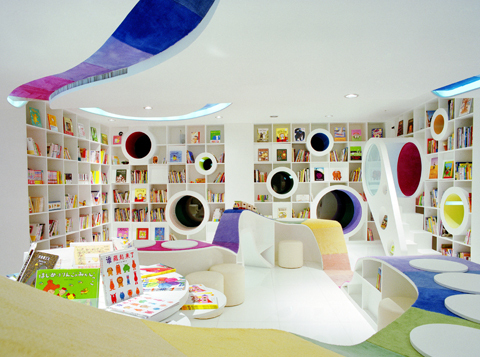 Reading can be easily equated to fun with the colourful funky architecture of the Poplar Kid’s Republic Bookstore in Beijing. 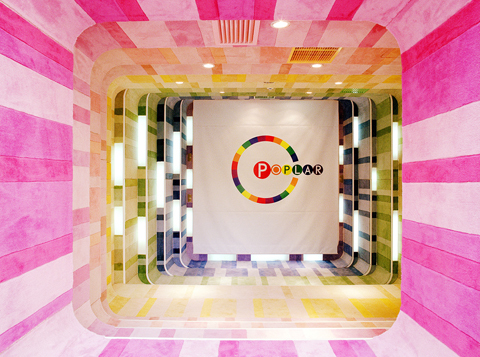 Being the only specialized picture book store in China, it attracts kids to read by providing the coolest reading areas and rainbow-inspired interiors. I think every person who enters this bookstore suddenly becomes like Peter Pan—forever a child living in his Never Never Land filled with books and happy thoughts. Haha, it would be pretty awesome to go to some of those bookstores. Here I am, trying to see a 3 story Borders bookstore in New York. Somehow, it doesn’t seem as cool anymore. I know, right? They’re just breathtaking. 🙂 By the way, Borders haven’t closed all their stores yet?